Sometimes your skin needs a little extra love. Like, for example, when the seasons change, or you’ve been ill, or you’ve had an extra busy week (or four) at the office. If all of those things happen to coincide, you may wake up one morning to find blotchy, dry and angry looking skin staring back at you in the mirror. Which is exactly what happened to me today. 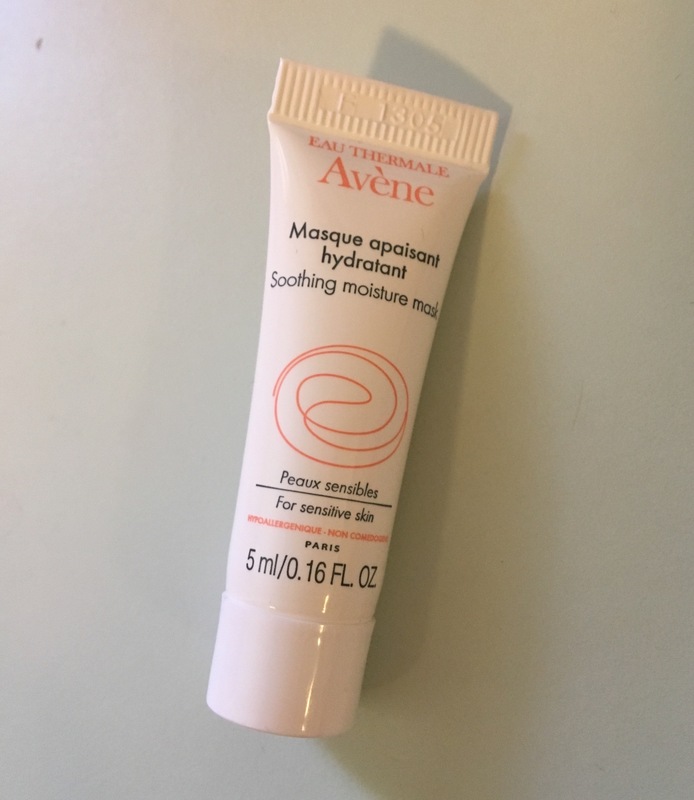 I decided to channel my inner French girl and slathered my unhappy complexion with a generous layer of Avene Soothing Moisture Mask. Friends, this is the ultimate lazy beauty product. All you do is apply the clean, fresh smelling cream to your face and let it soak in. After 15 minutes it is completely absorbed and once-angry skin is left soft and glowy. There’s no greasy shine. No post-mask peeling or scrubbing required. It’s amazing. 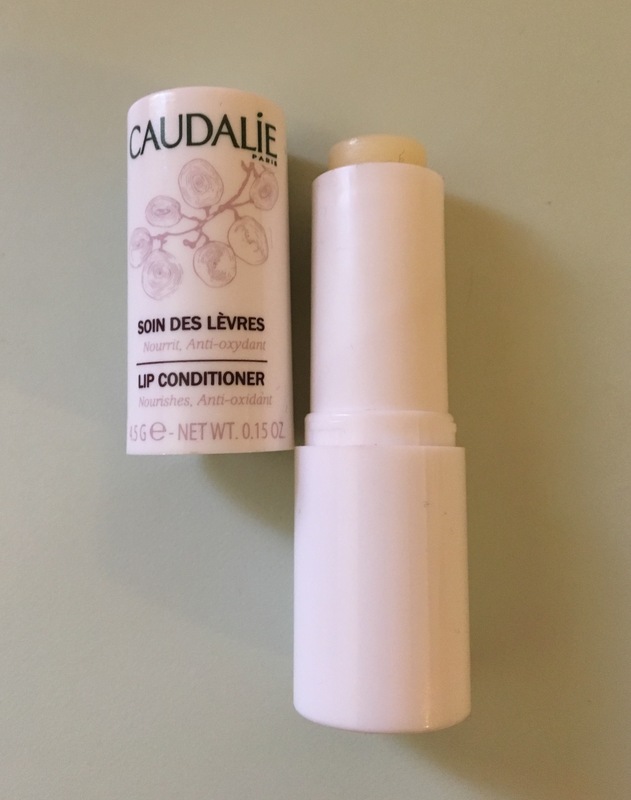 To finish off my French-girl facial, I swiped Caudalie Lip Conditioner on my lips. This is my current favorite balm – weightless and silky smooth, it’s long-lasting and makes a great base for lipstick. Suddenly my skin looks much better and I’m feeling very breezy and chic. Gotta love French beauty. I’ve always liked the idea of waterless cleansers. In theory, they require very little effort and make your skin clean and flawless with the swipe of a cotton pad; in practice, they are often either ineffective or far too harsh. Yet my inner lazy girl keeps me going back again and again, trying to find the holy grail of cleansing waters: one that removes makeup, cleans effectively, and isn’t overly drying. 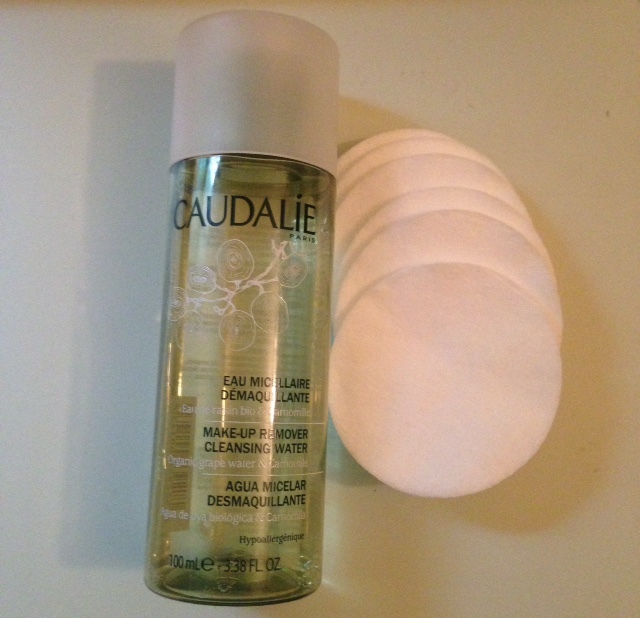 Enter Caudalie Make-Up Remover Cleansing Water. I read about it in this article about how French girls do beauty, and I was intrigued. And after a few weeks of daily use, I have to say I’m hooked. Now that summer is finally here – and my skin no longer resembles the Sahara – I don’t have to worry so much about slathering on heavy moisturizers. This means that before bed I can soak a cotton pad or two (I usually use two – one to remove makeup and one to cleanse) with this cleansing water, swipe it all over my face and neck, and then hit the pillow. No extra steps. My skin never feels tight after cleansing, and in the morning I wake up with smooth, clear skin. Not oily, not dry. Just clean. I love it. No wonder French-girl beauty seems so effortless.